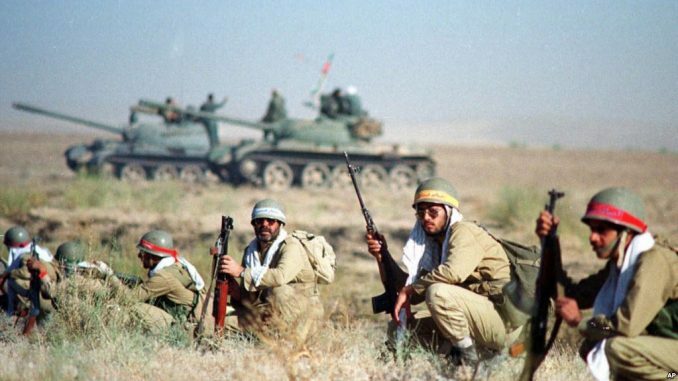 The IRGC, which is tasked with “defending the Islamic revolution” as opposed to the conventional army that defends the borders of the country, has been used as a tool for Ayatolah Rouhollah Khomeini’s “Exporting the revolution” thesis. In fact, one of the founders of IRGC, Mohammad Montazeri, was in charge of the office for liberation movements with links to militant groups in Libya and Lebanon. IRGC facilitates Iran’s long reach in areas as wide and far as Iraq, Syria, Lebanon, Yemen, Somalia and elsewhere in the Middle East and North Africa though its extra-territorial army the Qods Force. IRGC’s links to Lebanese Hezballah and Palestinan groups such as Hamas is public knowledge and its role in regional civil wars in Iraq, Syria and Yemen, has been the topic of numerous media reports. would have been IRGC. After Khomeini tasked Ayatollah Hassan Lahouti with forming a revolutionary corps, he called Rafiqdoust to meet with Ayatollah Mohammad Beheshti, as well as Akbar Hashemi Rafsanjani and Ali Khamenei who were the revolution’s strongmen. There, according to Rafiqdoust, Beheshti sent him to a meeting at an army establishment where several individuals were planning how to form the corps. “I wrote on a piece of paper: ‘The Islamic Revolution Guards Corps has been formed’ and then wrote my name and asked everyone else to write down their names if they wanted to join the corpse,” said Rafiqdoust. “Then I realized that three other groups have also formed their own IRGC. I invited their leaders to my office, locked the door, took out my gun and told them I would kill them and myself if they did not join the corpse I had formed. 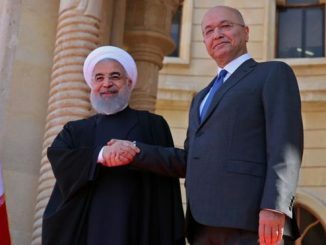 We held meetings for several days, made an initial agreement and then Rafsanjani endorsed the merger, and IRGC was officially formed,” Rafiqdoust added. Since 1979 IRGC has had several commanders. After Mansouri, who was the commander for 10 months, Abbas Douzdouzani replaced him and led the IRGC for only 3 months. He was followed by Abu Sharif who was IRGC’s commander for only one month. The next commander, Morteza Rezai, was appointed in June 1980. He was the first commander who insisted he should be appointed by Khomeini and no one else. However, his command was also short-lived because of political upheavals. After him, Mohsen Rezai who was 27 years old was appointed as commander-in-chief of IRGC in 1980 and led the IRGC for 16 years. 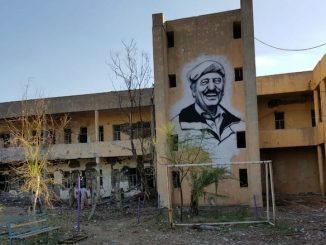 Many years later, Rezai has been criticized for his mistakes during the Iran-Iraq war of the 1980s, which claimed hundreds of thousands of lives. Rezai was replaced with Yahya Rahim Safavi in 1997 and led the IRGC for 10 years. IRGC’s current commander Mohammad Ali Jafari took over in 2007. According to the administration-owned newspaper, Iran, in terms of the chain of command, the IRGC has a pyramid structure, with the chief commander on top of it, followed by his deputy, and chief of the joint staff who maintains direct communications with the chief commander and the commanders of IRGC’s five forces. The IRGC had initially five forces with different missions: The ground force, air force, naval force, the extra-territorial Qods Force, and the Basij militia. In 2009 an aerospace force replaced the airforce to further IRGC’s ballistic missile program. There are two other important offices in IRGC, one that belongs to the Supreme Leader’s representative to the corps (a trusted cleric) and the counter-intelligence office which operates under direct supervision by Khamenei’s office. Most of the changes in IRGC took place after 2007 when Jafari took over as commander-in-chief. Ideas such as the provincial structure and asymmetrical warfare are among the changes he made in IRGC’s strategy, structure and tactic. In the meantime, starting from late 1980s, IRGC began a series of economic activities that made its Khatamolanbia HQ one of the richest financial entities in Iran. It is currently active in vast areas from urban planning to oil drilling, banking and even film production. Iran’s private sector in recent years has been complaining that the HQ has driven the private sector out of the country’s economy. Meanwhile, as Iran boosted its missile program and expanded its regional military presence, IRGC became an international player constantly present in the news. IRGC’s Qods Force has been present in civil wars in Iraq and Syria, and its influence has been observed far and wide elsewhere in the Middle East and North Africa, and its commander Qassem Soleimani is a celebrity whose pictures appear on Western publications in an almost daily basis. 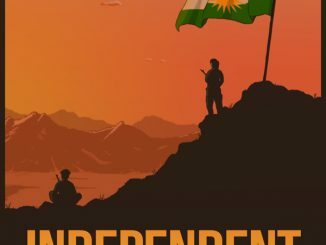 Don’t the Kurds deserve the chance to create their own state in the Middle East?